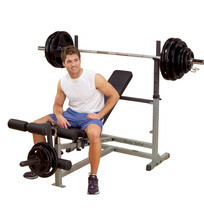 If you want a large and strong chest, a power bench is a step in the right direction and as such is an essential part of every gym. 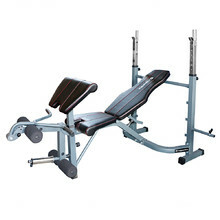 Adjust your bench according to your needs, preferred exercise type and resistance level to make your training varied and effective. 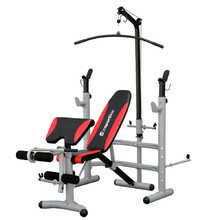 Power bench is a piece of equipment worth investing in. 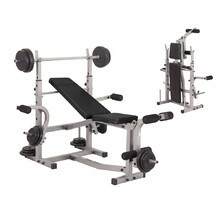 It is mainly used for bench presses – an iconic exercise for toning your chest muscles. 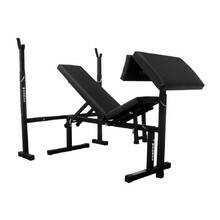 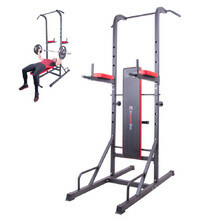 With an adjustable bench, you can also do presses, chest fly exercises and exercises focused on other muscles. 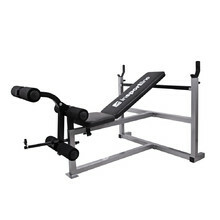 The multi-purpose power benches are also suitable for barbell exercises, leg curls, biceps training with pulleys or back extensions. 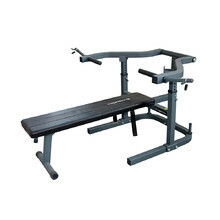 We offer power benches from inSPORTline, Body Solid, Marbo Sport and other renowned brands, suitable for both home and commercial use. 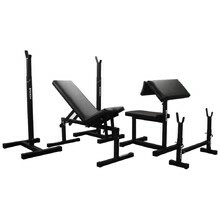 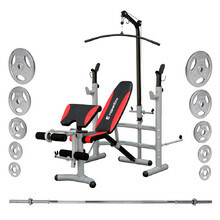 You can also buy sets including a bench, barbell bar and a set of weight plates. 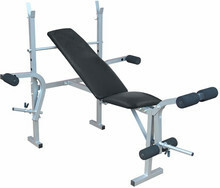 Exclusive multi-purpose bench, Leg Developer for leg curls.